The previous section discussed the fact that arthritis, disc bulges, tears, and degenerative changes found in x-rays, MRIs, and CT scans may not be related to your pain. This chapter will discuss surgery and pain. For starters, let’s get one thing straight. 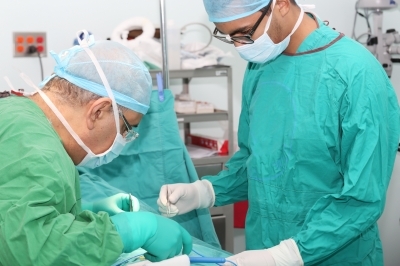 Surgery is needed and is very important for many conditions. This has been proven through research. But what we do not hear about is that there are many research studies that have found that people did well for many conditions whether they had surgery or not. So, why not try to avoid surgery if you can? If you already had surgery and did not improve, it could be due to the fact that other issues that we discussed previously (sensitization, changes in the nervous system and etc) are the primary components to your pain, which means that there is always potential for you to take control of your pain. Feel free to review the previous sections in the Pain Science Filing Cabinet if you need to. The purpose of listing the statements published by the researchers listed below is to make the point that you can still take control of your pain whether you had surgery or not. Also don’t forget to read the “red flags” section and always contact your physician if you have any questions. As you can see from the quotes from published research studies, it is possible that you can improve because your surgery may have address a tear, disc, joint, bone, cartilage, or muscle but did not address other components of the pain process. You shouldn’t be upset if you had surgery and did not improve, you should be happy that you have potential to experience less pain! We must be positive, try movement and motor control exercises that you have been taught from your health care professional. (Concepts of self-correction through various movement and motor control exercises will be uploaded soon.) This is very important concept because when we stress and worry that something is wrong with a body part there can be increased pain. The next section will discuss this in more detail. Brox JI, Sørensen R, Friis A, Nygaard Ø, Indahl A, Keller A, Ingebrigtsen T, Eriksen HR, Holm I, Koller AK, Riise R, Reikerås O. Randomized clinical trial of lumbar instrumented fusion and cognitive intervention and exercises in patients with chronic low back pain and disc degeneration. Spine (Phila Pa 1976). 2003 Sep 1;28(17):1913-21. PubMed PMID: 12973134. Buchbinder R, Osborne RH, Ebeling PR, Wark JD, Mitchell P, Wriedt C, Graves S, Staples MP, Murphy B. A randomized trial of vertebroplasty for painful osteoporotic vertebral fractures. N Engl J Med. 2009 Aug 6;361(6):557-68. doi: 10.1056/NEJMoa0900429. PubMed PMID: 19657121. Carragee EJ, Alamin TF, Miller JL, Carragee JM. Discographic, MRI and psychosocial determinants of low back pain disability and remission: a prospective study in subjects with benign persistent back pain. Spine J. 2005 Jan-Feb;5(1):24-35. PubMed PMID: 15653082. Dunn WR, Kuhn JE, Sanders R, An Q, Baumgarten KM, Bishop JY, Brophy RH, Carey JL, Holloway GB, Jones GL, Ma CB, Marx RG, McCarty EC, Poddar SK, Smith MV, Spencer EE, Vidal AF, Wolf BR, Wright RW. Symptoms of pain do not correlate with rotator cuff tear severity: a cross-sectional study of 393 patients with a symptomatic atraumatic full-thickness rotator cuff tear. J Bone Joint Surg Am. 2014 May 21;96(10):793-800. doi: 10.2106/JBJS.L.01304. PubMed PMID: 24875019; PubMed Central PMCID: PMC4018774. Elattrache N, Lattermann C, Hannon M, Cole B. New England journal of medicine article evaluating the usefulness of meniscectomy is flawed. Arthroscopy. 2014 May;30(5):542-3. doi: 10.1016/j.arthro.2014.02.010. Epub 2014 Mar 15. PubMed PMID: 24642105. Kukkonen J, Joukainen A, Lehtinen J, Mattila KT, Tuominen EK, Kauko T, Aärimaa V. Treatment of non-traumatic rotator cuff tears: A randomised controlled trial with one-year clinical results. Bone Joint J. 2014 Jan;96-B(1):75-81. doi: 10.1302/0301-620X.96B1.32168. PubMed PMID: 24395315. Mannion AF, Brox JI, Fairbank JC. Comparison of spinal fusion and nonoperative treatment in patients with chronic low back pain: long-term follow-up of three randomized controlled trials. Spine J. 2013 Nov;13(11):1438-48. doi: 10.1016/j.spinee.2013.06.101. Epub 2013 Nov 5. PubMed PMID: 24200413. Moseley JB, O’Malley K, Petersen NJ, Menke TJ, Brody BA, Kuykendall DH, Hollingsworth JC, Ashton CM, Wray NP. A controlled trial of arthroscopic surgery for osteoarthritis of the knee. N Engl J Med. 2002 Jul 11;347(2):81-8. PubMed PMID: 12110735. Saltychev M, Eskola M, Laimi K. Lumbar fusion compared with conservative treatment in patients with chronic low back pain: a meta-analysis. Int J Rehabil Res. 2014 Mar;37(1):2-8. doi: 10.1097/MRR.0b013e328363ba4b. PubMed PMID: 23820296. Sihvonen R, Paavola M, Malmivaara A, Itälä A, Joukainen A, Nurmi H, Kalske J, Järvinen TL; Finnish Degenerative Meniscal Lesion Study (FIDELITY) Group. Arthroscopic partial meniscectomy versus sham surgery for a degenerative meniscal tear. N Engl J Med. 2013 Dec 26;369(26):2515-24. doi: 10.1056/NEJMoa1305189. PubMed PMID: 24369076. Smith JS, Sidhu G, Bode K, Gendelberg D, Maltenfort M, Ibrahimi D, Shaffrey CI, Vaccaro AR. Operative and Nonoperative Treatment Approaches for Lumbar Degenerative Disc Disease Have Similar Long-Term Clinical Outcomes Among Patients with Positive Discography. World Neurosurg. 2013 Sep 15. pii: S1878-8750(13)01111-X. doi: 10.1016/j.wneu.2013.09.013. [Epub ahead of print] Review. PubMed PMID: 24047821. Staal JB, de Bie R, de Vet HC, Hildebrandt J, Nelemans P. Injection therapy for subacute and chronic low-back pain. Cochrane Database Syst Rev. 2008 Jul 16;(3):CD001824. doi: 10.1002/14651858.CD001824.pub3. Review. PubMed PMID: 18646078.